The point is 10,000 times more true — and urgent — in the National Football League, which is a business without the pretense of amateurism: Football is serious business, serious enough that coaches (and the organizations whose fates lie in coaches’ hands) need to make the right game-management decisions. A multi-billion-dollar business should not tolerate consistently wrongheaded moves in a core component of game play: handling the final two to three minutes of regulation. Yet, coaches make these decisions all the time. The reality of football is that probabilities and opportunities are not seen for what they are — not usually, or at least, not as standard procedure. The enlightened coach — in step with a new David Romer awareness of how to treat fourth downs and other strategic dimensions of the sport — is still more the exception than the rule in this industry, at both the pro and collegiate levels. In modern fields of endeavor, new research is creating new awareness of what’s real, what’s sensible, and what’s possible. Football has certainly evolved in terms of spread offenses and tempo-based approaches, and defensive masters such as Pete Carroll and Bill Belichick are agile enough to come up with defenses that can stand on their own in an age of offense. Yet, while Xs and Os bring forth continuous developments, game management remains conspicuously behind the times. For whatever reason, pro and college teams just haven’t come to terms with what should be the new framework for making various kinds of decisions. You kneel the ball if you can run down the clock to the final 10 seconds and punt in those final 10 seconds. Steve Spurrier of South Carolina did not do this in the Independence Bowl. He was fortunate his team didn’t fumble on a few standard carries into the line. We saw both Chris Petersen (Washington) and Brian Kelly (Notre Dame) lose games because of fumbles in kneel-down situations during the regular season. You ice kickers on short kicks, not long ones in which nervous energy is likely to create an inaccurate kick. Bronco Mendenhall of BYU followed this guideline on an extra point in the Miami Beach Bowl, but then used a second timeout his team could have used at the end of regulation, thereby going way too far. Mendenhall then went against this recommendation in overtime, “icing” Memphis’s kicker before a 54-yard attempt he subsequently crushed through the uprights to keep the Tigers alive and eventually lead to a BYU loss in double overtime. 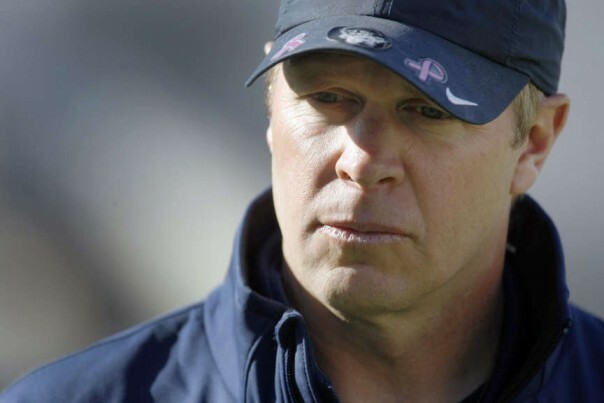 BYU head coach Bronco Mendenhall displayed, by far, the worst game management of any of the 76 coaches involved in a bowl game this season. He and other coaches who struggle with game management ought to hire game-management specialists as assistant coaches. This should be the future of the industry as a whole. You ice kickers by making sure they don’t get in a practice kick to flush out nervous energy. Mendenhall also failed on this point. Navy’s Ken Niumatalolo did it right in the Poinsettia Bowl… and San Diego State’s kicker missed a 34-yard boot. When managing timeouts in the final two minutes as the trailing team, you cannot use timeouts after an opponent gains a first down. This is such an obvious reality: Since the clock stops for a period of time after a first down is gained (while the chains are moved), calling a timeout after an opponent gains a first down saves only 25 to 28 seconds or thereabouts, compared to the full 40 seconds on the play clock. It should be obvious that if you want to call timeouts to get the ball back late in a game, you need to use your three timeouts after the first-, second-, and third-down plays to save a maximum of time. 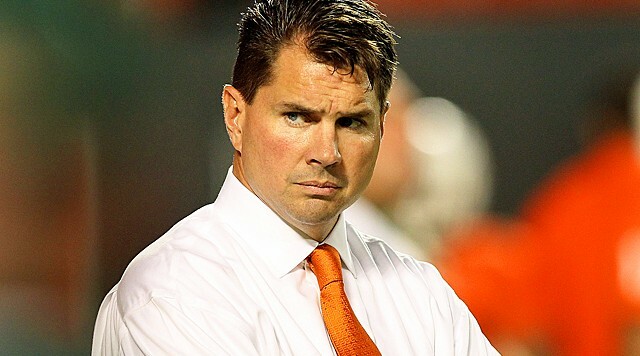 In the Independence Bowl, Miami coach Al Golden called a timeout after South Carolina gained a late first down. The Hurricanes didn’t have a great chance to win, of course, but South Carolina didn’t even have to punt to Miami in the final seconds. Had Golden used his timeouts better, the Gamecocks would have had to punt the ball up by three with around 17 seconds left. Miami would have had at least two plays to either get itself in field-goal position or try a Hail Mary. How can coaches mess up so much in terms of basic strategy? It certainly seems to be the case that coaches are so necessarily immersed in game planning and the Xs and Os that they just don’t free up their minds for — or culturally value the added time involved in — managing endgame situations, not to mention fourth-down-or-field-goal situations in the first three quarters of games. Billions of dollars are spent on football — many more billions at the pro level, yes, but still quite a lot of money at the collegiate level. It’s time for FBS head coaches to hire game-management assistants… because the bowl season showed that they can certainly use the assistance.